Known far and wide as the number one sport fishing capital of Costa Rica, Quepos fishing offers all the excitement and action that Costa Rica can provide. 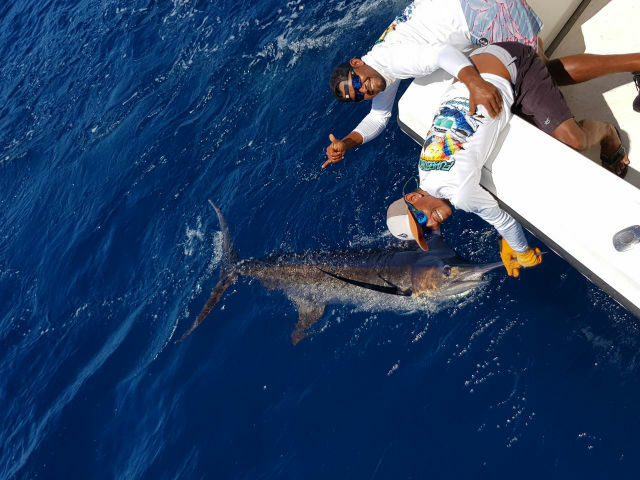 From conventional offshore deep-sea fishing charters for big game fish to reef and bottom fishing trips targeting Cubera Snapper and Broomtailed Grouper, Quepos Fishing Charters is your trusted partner when it comes time to visit Costa Rica! 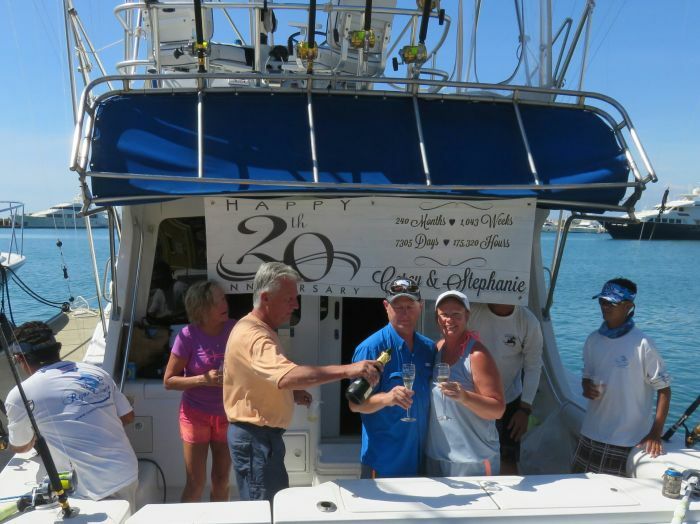 We can arrange sport fishing excursions ranging from Full & Half day to multi-day overnight trips on our well-equipped modern charter boat for groups of up to 8 people. Quepos fishing is the number one destination for Pacific Sailfish charters and Blue Marlin fishing packages in the world. There are half-day (5 hours) and full-day (8 hour) tour options to choose from. World class billfishing places Quepos in a class all by itself, with Marlin and Sailfish at the top of the list, attracting a special class of anglers that thrive on the thrill of catching these magnificent billfish. 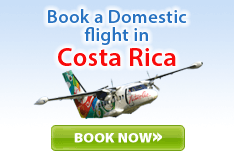 Costa Rica fishing is synonymous with an abundance of marine resources and the fishing grounds along the Costa Rica coast provide ample opportunity for anglers to hook up to a big game fish and test their fishing skills. If you are planning your next Quepos fishing adventure, look no further than Costa Rica fishing in Quepos with us as your partner for all your booking and planning needs! 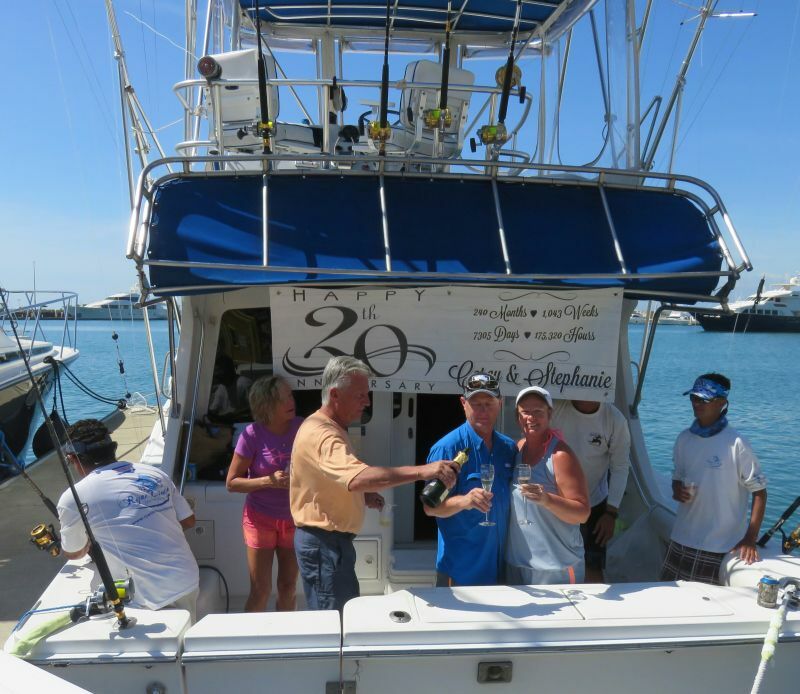 Quepos Fishing Charters will make sure that you have the time of your life and keep coming back for some more Quepos fishing in the future. 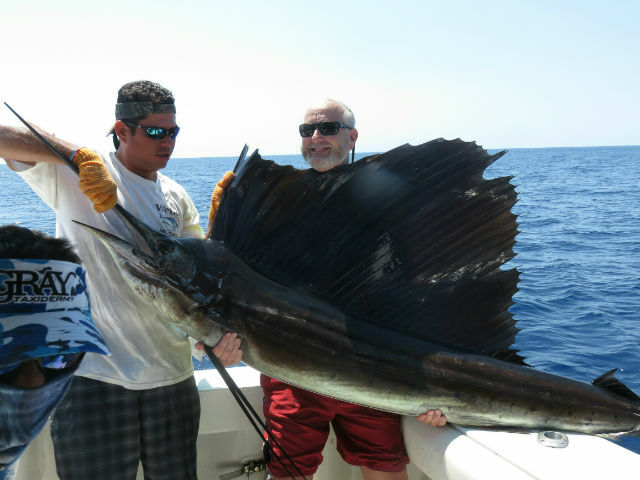 Contact us for your next Quepos Manuel Antonio Fishing vacation and let us take care of the rest! The white sand beaches and volcanic islands make a spectacular backdrop to a fishing trip. 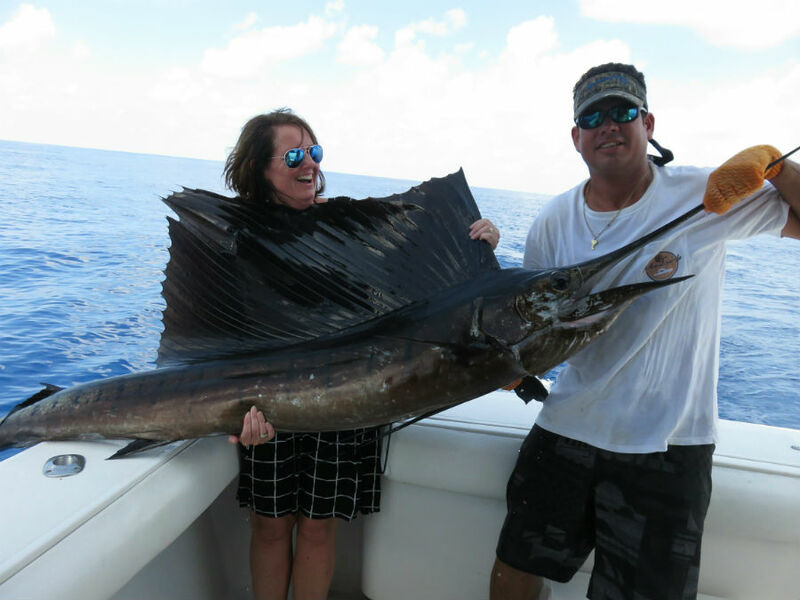 When top-class fishing is combined with the natural beauty of rain forested coastline, you have the perfect recipe for a fishing vacation in paradise.The majestic natural beauty of Quepos Costa Rica is bound to leave you awe struck. Add to this the adventure of sports fishing off the Quepos coastline. 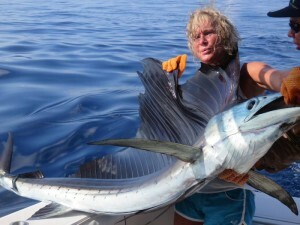 We have hosted a lot of women anglers in recent years, some chasing world records. Family fishing trips are always a delight, and some of the best days out on the water are with kids aged 5 years and over. 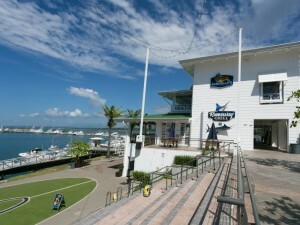 With some of the calmest fishing waters anywhere in the world, fishing here is ideally suited to fishermen and women of all ages.Our crew love to teach novice and junior angers, helping them all the basic techniques of fishing. 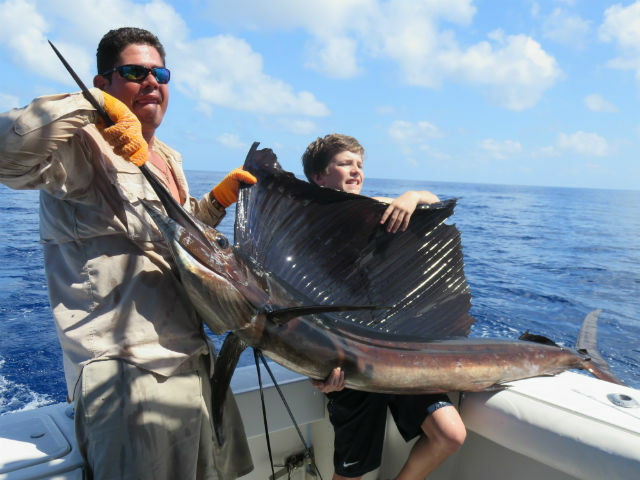 Watching a kid catch his 1st Sailfish is always a pleasure. Regardless of whether you take fishing seriously or just want to enjoy a day offshore in comfort, we can provide that too.